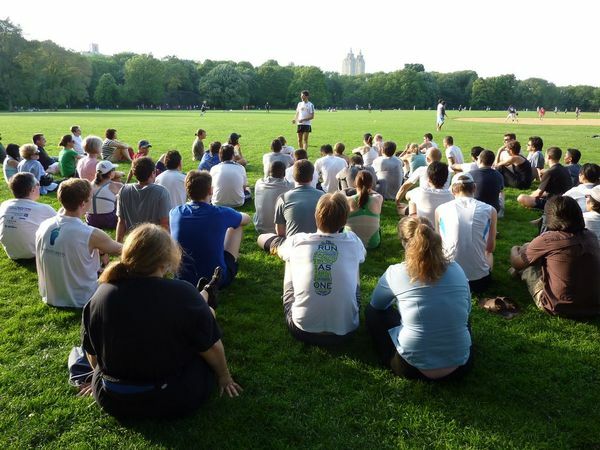 Mindful Running 201 – Mindfulness and Running at Central Park for All Levels! Come join us for our second Mindful Running Event! If you liked our inaugural event, you’ll love this one…and we promise it’ll be warmer too! And if you didn’t come, now’s your chance to start! Discover how to run lighter, easier, and with less chance of injury while learning how to quiet the mind, get in the zone, and get the incredible benefits of mindfulness, all while running or walking! Don’t be scared off if you’re not a great runner, or haven’t run in years. This clinic is truly for all levels, from soon-to-be-former coach-potatoes, to future Meb Keflezighi’s, and everyone in-between. And don’t worry if you’ve never meditated before or struggle to meditate. Quieting the mind while moving is hard-wired into our being. It’s a survival mechanism for running, hunting, and escaping predators. So it’s easy to learn and we’ll show you how. The tools you’ll learn will help improve your running, and help you rewire the mind. So the benefits will remain even when at home or at work. This helps you become more relaxed, present and focused, more patient, sharper and clearer thinking, more productive, and of course better able to breathe and to sleep! Note: We’ll only be doing a few hundred yards of running as we practice new techniques, so you need not be in shape, or show up with fresh legs, ready to pound out a fast 10K. Far from it. This is a fun hands-on learning session, rather than a running one. We can’t wait to meet everyone, and see you there. Prepare to have fun!!! Note: The Meetup is officially from 9 – 11 AM followed by a short Q/A. However, feel free to join Jessica and me for a silent mindfulness meditation from 8:15 – 8:45 on the south lawn as well.